Our tradition of choosing a Coach of the Month has been in place from January 2015. This means by now we have already nominated 24 coaches and will continue this great tradition. The idea of Coach of the Month emerged from the aim to create a platform for the professional coaches to introduce themselves, their work, purpose, and overall approach on coaching as a profession. By doing it we encourage collaboration and have the pleasure to share the wisdom and experience that our wide community of professional coaches has. 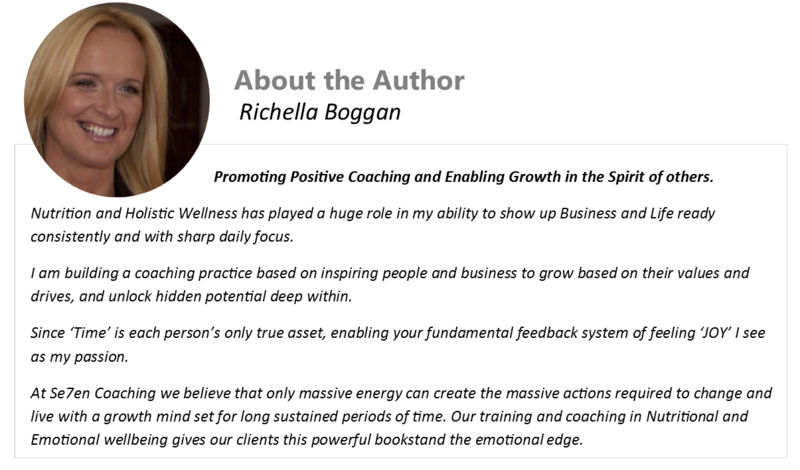 We are very proud to introduce you to our January Coach of the Month – Richella Boggan. Take a look at the questions that Richella has answered and what valuable insights she has shared. Lots of great tips to take away. Throwing out the rule book of what I expect clients to say or do. Leaning on the competencies allows a new presence that allows clients’ rooms to develop, change and grow at their speed. The experience is different with every client and the outcomes are unique. The development of an inner calmness allows you to stretch the client to new possibilities and develop new thinking beyond conventional into the realm of their imagination where everything really is possible. Track my emotional state with a Journal of my experiences, such that I am building a model of how best I can perform emotionally, and rehearse my attitude. You want to enable a sense of adventure, so a carefree but not careless attitude is very important. The ‘art’ of modern coaching practice for me means embracing the whole person: physically, mentally, spiritually, emotionally, and socially. The Key to my fulfillment has been the ability to answer the question: have I made that person’s life better? Since life is a series of life experiences, have I been able through my coaching to effect positive change to the level that person experiences life in the intensity or frequency of their life experiences. Coaching has allowed me to add special meaning and purpose to my clients’ lives and this is deeply meaningful for my whole spirit. What has changed around us are the distraction levels and sources of distraction unprecedented in history. Those, whom can harness this skill, will enable a competitive advantage as working smarter in life or in business requires an intelligence that requires laser like focus. Tapping into your ability to imagine, coupled with the availability of knowledge is a key skill of modern times. Creativity is unlocked. The vision for possibilities is widened.